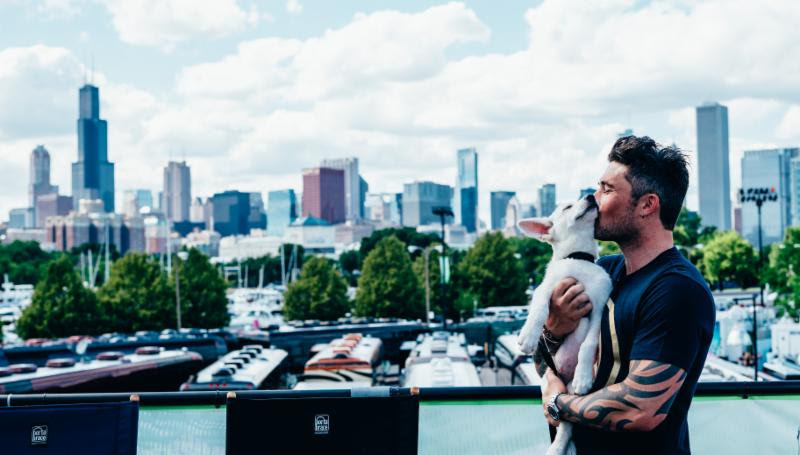 Michael Ray has partnered with the Nashville Humane Association to launch a week-long pet supply drive in an effort to support pets displaced by Hurricane Michael. Beginning today (Friday, Nov. 2) fans and community members can donate food, blankets, towels and more to help support the effort at the Nashville Humane Association, located at 213 Oceola Avenue in Nashville. Ray will make a special appearance at the Nashville Humane Association on Friday (Nov. 9) at 2 p.m. CT. A truck will then dispatch to his native Florida, where it will distribute the provisions to shelters in need. Clearly an animal lover, Ray established Wrigley Cares, a pet-based charitable initiative named for his husky/shepherd mix in October 2017. Wrigley Cares provides financial and medical support for rescue animals, service pets and more, and collected an estimated 100,000 meals for shelter animals during his Get To You Tour last year.